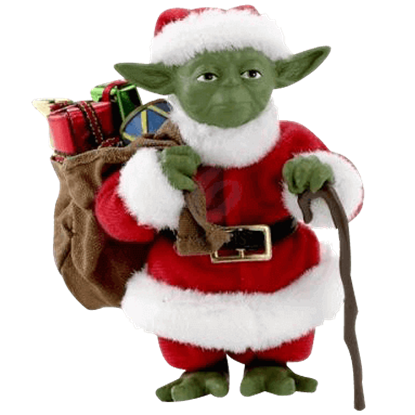 Decorate your home or office with your favorite characters from Star Wars when you choose from the Star Wars POP figures and statues here. Displaying iconic characters in an adorable chibi style, these bobbleheads and wacky wobblers are popular with fans of all ages. Displaying heroes, villains, bounty hunters, and droids from the movies and the animated series, these Funko figures make great gifts for any Star Wars fan. 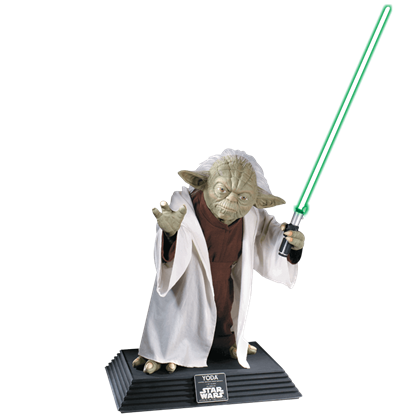 Serious fans will marvel at the Collectors Edition Life Size Yoda Statue. Create a collection that follows the progression of Luke Skywalker or Leia Organa throughout the film franchise, from A New Hope to The Force Awakens. Or face off adversaries such as Captain Phasma and Finn or Boba Fett and Han Solo. 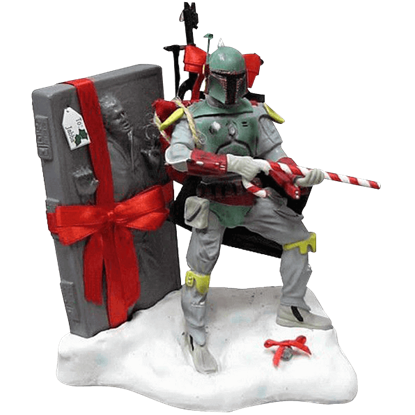 However you choose to display them, the Star Wars POP figures and statues are sure to be a hit with fans. Keep checking back because we are always adding to our Star Wars POP figures and statues collection as new items become available. Judge me by my size, do you? - is one of many intriguing lines uttered by this Master Jedi. You will be tempted to reply when gazing upon this piece. The Collectors Edition Life Size Yoda Statue is an epic find for Star Wars fans. A variant of stormtrooper, flametroopers wield incendiary weapons and wear a unique style of white armor that reduces glare. 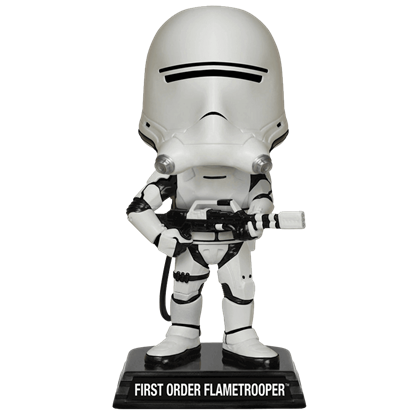 The First Order Flametrooper Wacky Wobbler depicts one of these soldiers with a flamethrower in his arms. The latest generation of cold weather assault stormtroopers, snowtroopers wore insulated armor and helmets to reduce the glare of icy terrain. 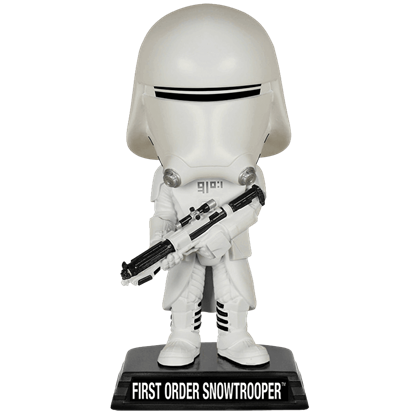 The First Order Snowtrooper Wacky Wobbler shows off the unique armor of these soldiers. A noble princess, a fearless Rebel leader, and an outstanding Jedi knight, Leia Organa is one of the most loved characters from the Star Wars Saga. 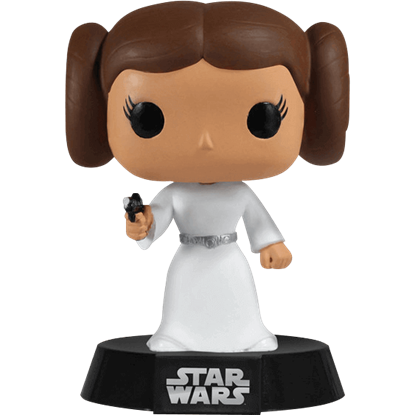 Bring your favorite leading lady into your home with the Princess Leia POP Bobblehead! One of the most anticipated characters to return to Star Wars in Rogue One is the Sith lord, Darth Vader. 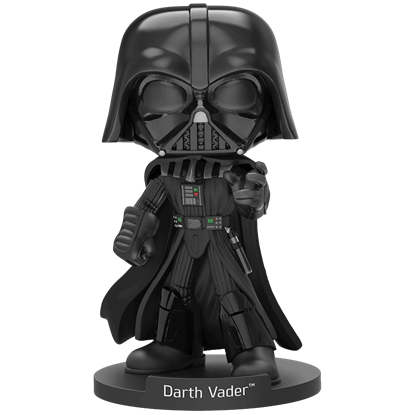 Shown here in chibi style, this Rogue One Darth Vader Wobblers Bobblehead inspires fear among Imperial troops and rebels alike. This specialized Stormtrooper of the Galactic Empire serves under the command of Director Orson Krennic. 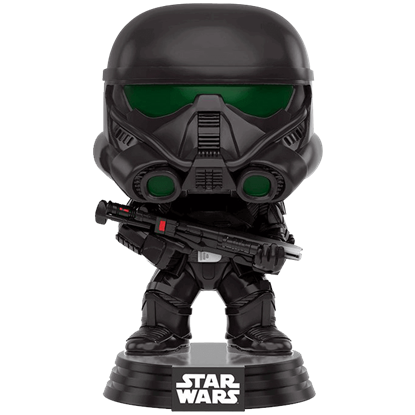 The Rogue One Imperial Death Trooper POP Bobblehead presents an adorable chibi miniature of an elite Intelligence soldier. An iconic character from the original trilogy, C-3PO joins the fight once more in Episode VII as an aide to Leia Organa. 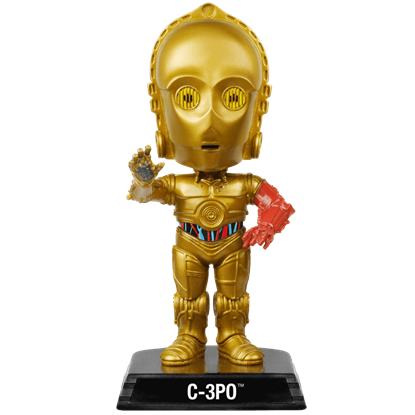 The Star Wars C-3PO Wacky Wobbler depicts the protocol droid in excellent detail as he appears in the film. Clad in chromium armor and a black and red armorweave cape, Captain Phasma cuts an impressive figure as she commands the stormtroopers of the First Order. 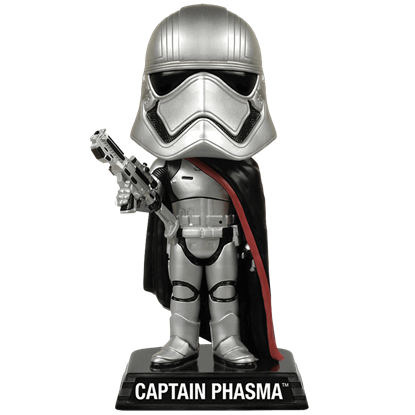 The Star Wars Captain Phasma Wacky Wobbler depicts this fierce leader. Chewbacca has stood by the side of Han Solo for years as a faithful First Mate and friend, smuggling goods and fighting for the Resistance. 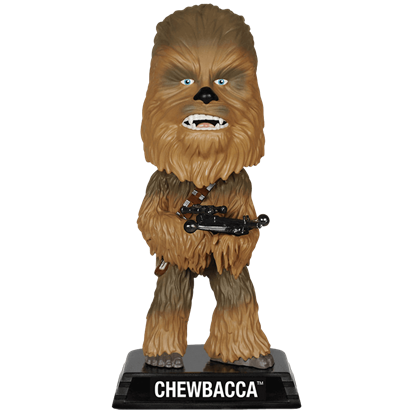 The Star Wars Chewbacca Wacky Wobbler depicts the fierce Wookie in excellent detail. Abandoning his post as a stormtrooper under Captain Phasma, Finn comes to the rescue of Poe Dameron in Episode VII of the Star Wars franchise. 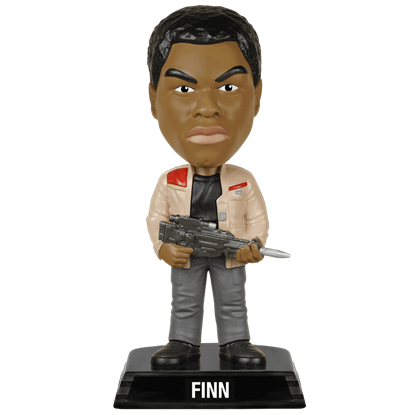 The Star Wars Finn Wacky Wobbler displays Finn in the pilot jacket lent to him by Poe.